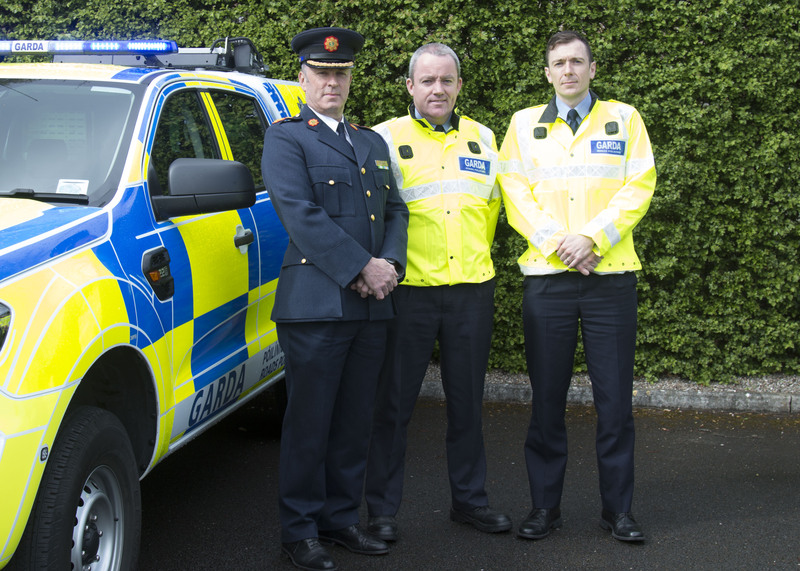 Image shows 2 of the 4 additional Gardai – Garda Paul Stuart who will be stationed in Roscommon and Garda Vincent Healy will be stationed in Castlerea with Deputy Commissioner John Twomey. Local Minister Denis Naughten is welcoming the news that four (4) additional Gardai will be deployed to the Roscommon-Longford division. “The extra Gardai will focus on keeping our roads and communities safe through increased crime prevention and detection. The additional members will also target criminal gangs to ensure the roads network in Roscommon-Longford division is not used and exploited by criminals. An Garda Siochana will work closely with crime units to target known criminals and to disrupt their activities through strict enforcement of road traffic legislation. This is a welcome announcement today,” stated Minister Naughten. The additional allocation brings to more than 305 the number of Gardai assigned to the Roscommon-Longford divison.